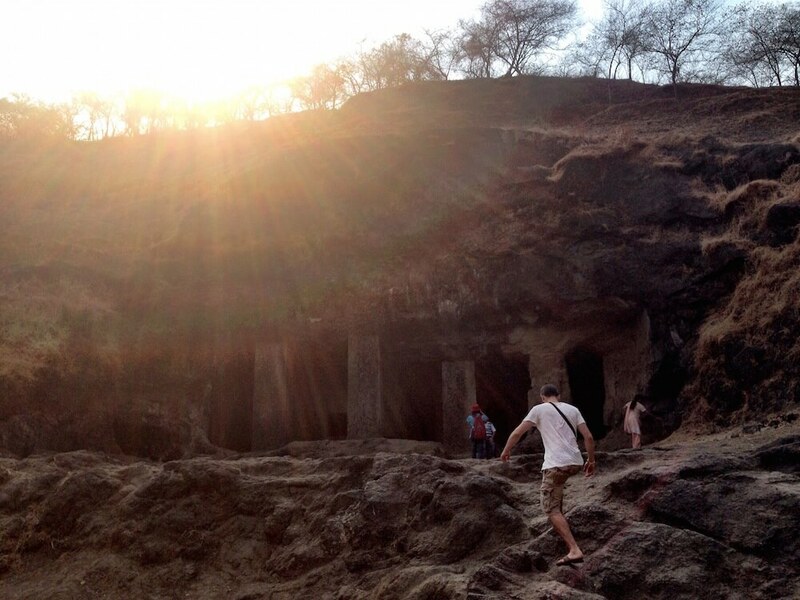 I went to India in April – a place I’d dreamed of visiting for years. As you’ll know if you followed along I had a few issues, but with the benefit of hindsight my 3 weeks in India were brilliant. Every day was something different, the people were lovely, the trains were an adventure and I was lucky enough to sample India in style with some awesome hotel. This 3 week India itinerary is a great introduction to a country that will seem even bigger once you’re in it. There’s a lot to see in India! I wanted to write this post to show you my route from start to finish, with recommendations of what I did or didn’t do along the way. 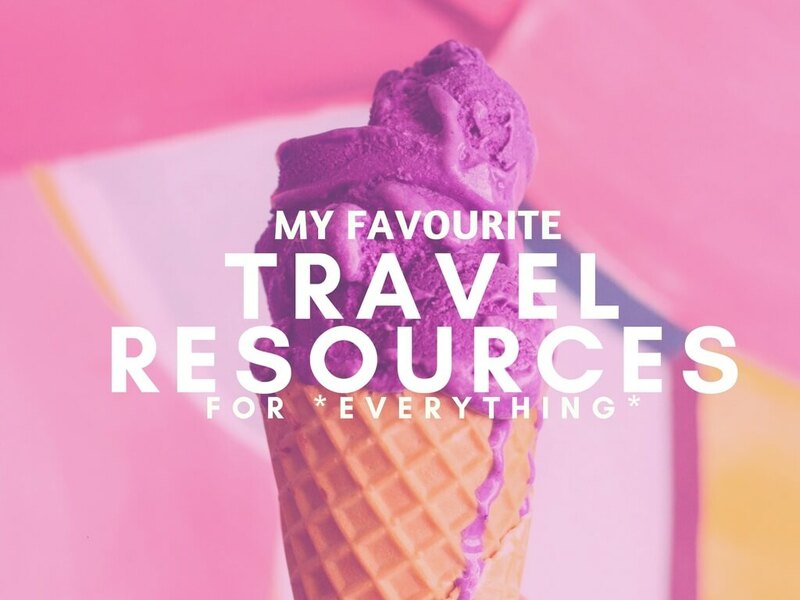 I’ve covered transport, hotels, food recommendations and things to do. I arrived in Delhi and got a taxi from the front of the airport to my hotel. Whatever a taxi driver states as the price in India, you need to half it to get somewhere near a fair price. I knew that already yet I fault like my offer of 500 rupees (£5) was still far too generous as he jumped at the chance. My taxi journey was so sketchy. I’d arrived in Delhi late and already booked into the Airport Hotel Metro Tower, apparently 10 minutes away but I didn’t have the exact address. The taxi driver told me he knew where it was, turned out he didn’t, and neither did his mate who’d jumped in the taxi with us. It was so scary, and the hotel wasn’t much better either. I barely slept. I pretty much ran out the hotel and into my Tripzuki driver’s arms when he came to pick me up for my tour. We went straight to the Rose Hotel in Haus Khaz (now shut down!). It was a dream and I loved Haus Khaz as soon as I saw it. It was the cricket final so my driver took me out for some Choley for breakfast (a spicy chickpea mix) in front of the TV – a must when you’re in Delhi. The guide arrived an hour later and off we went for a full day of exploration to see a few of the big sights of Delhi. The taxi driver added a few extras on the bill when I arrived back at my hotel, which I soon found to be standard in India. I was too polite (and scared) to challenge so paid the £45 just to get back to that hotel room. It’d been a long day, after a long night, and I fell on the bed exhausted. For dinner I went for a Rothi roll from the street food market up the road, and oh my days it was delicious. After an incredible breakfast at The Rose Hotel, which included eggs, granola, yogurt and fruits, I walked round Haus Khaz. 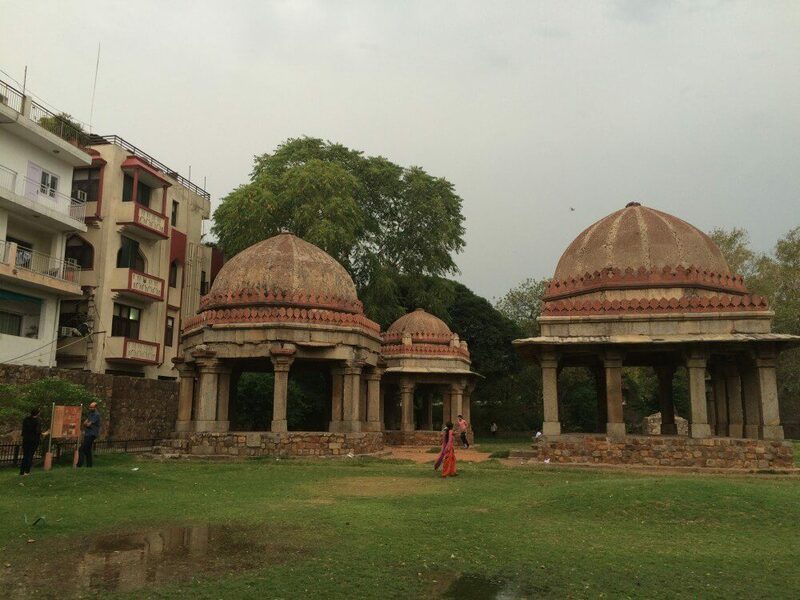 I soon found out it’s one of the coolest districts in Delhi. I’m so grateful to Tripzuki for introducing me to this place. I wandered round the shops, explored the ruins, bought presents for my family and drank tea and coffee at as many places as possible. I love Haus Khaz. READ MORE: Unfortunately The Rose Hotel has since shut down, I know, sad times. 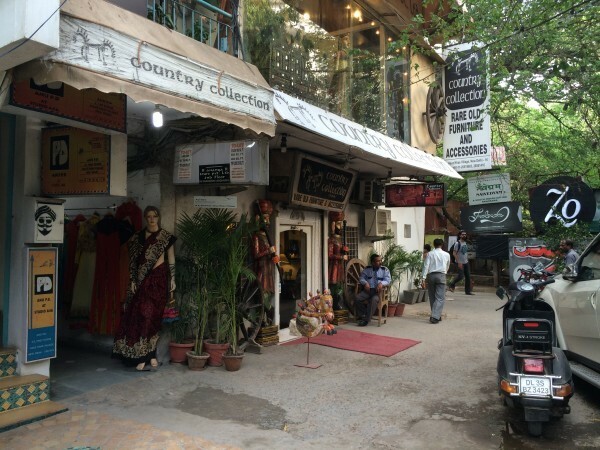 If you’re looking for recommendations for hotels in Delhi, check out this guide on chasingtheunexpected.com. I had to get up early to get across town to the Delhi Tourism office to start my Golden Triangle tour at 6am. The tour was only £70 including two nights accommodation, which was about £200 cheaper than any other one that I found. I really liked the fact I was the only Westerner on the trip, and I’d be seeing all these sights with Indian people. It just seemed all the more authentic. We drove to Agra and walked round the incredible Agra Fort. I decided to go vegetarian in India so chose a spinach and paneer curry for dinner, with naan. Absolutely incredible. Never really eaten paneer before, but I’m definitely planning on more. Today was the day I saw the incredible Taj Mahal. I loved hearing the true story of the Taj Mahal – so damn scandalous – and actually seeing the building I’d seen in so many photos before. The experience was better than I imagined and I’d hate for anyone to dismiss the Taj as ‘too touristy’ which I’ve heard before, it was stunning. Sounds weird but I was impressed by the main roads in India too – they’re wide and not nearly as busy as you’d expect. Even I’d be happy to drive between the big cities here, maybe not in them though. I had paneer in a fancy place for breakfast, in a rothi roll. Not nearly as good as the street food in Haus Khaz. 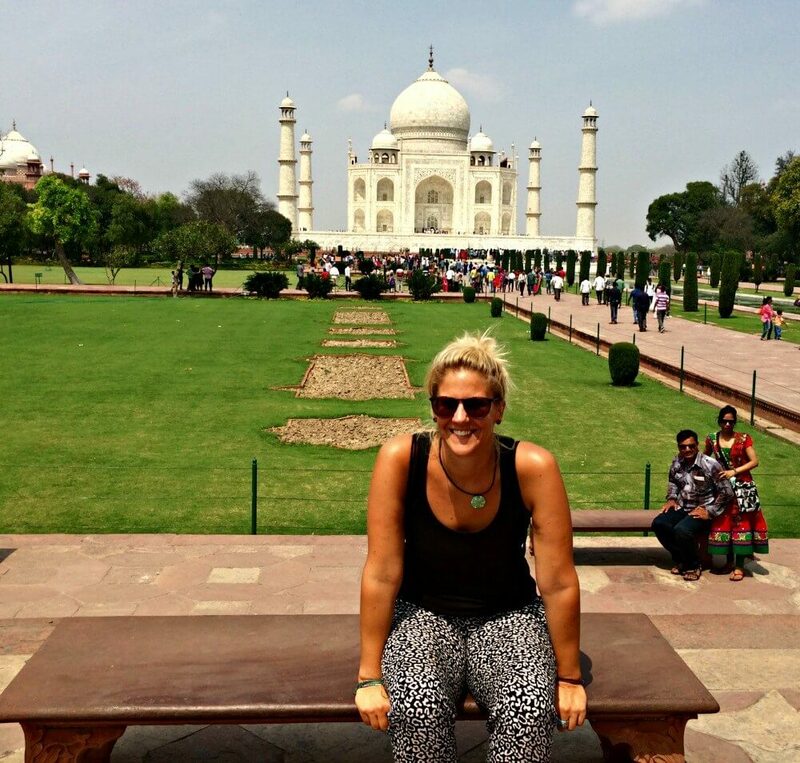 If you’ve got three weeks in India, I’d definitely recommend making the Taj Mahal a priority! Best way to see the Taj Mahal, join a tour! 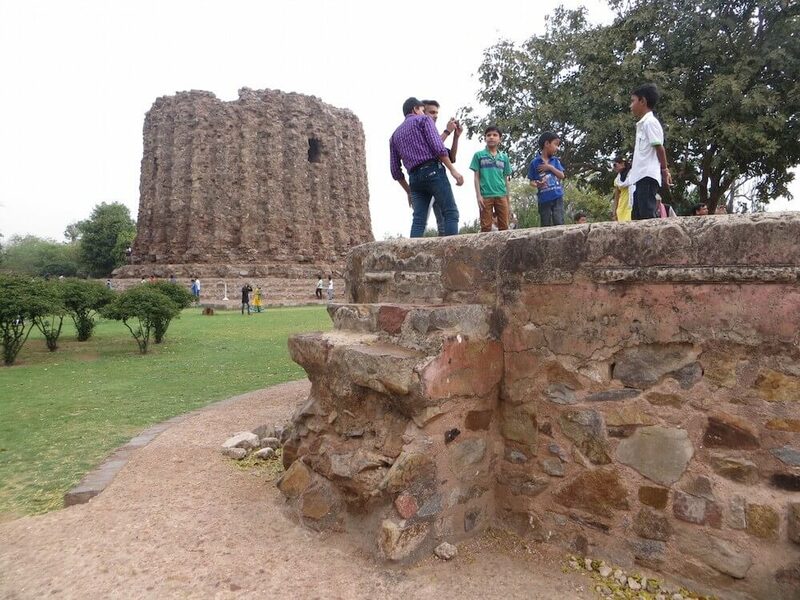 I joined a Golden Triangle tour with the India tourist board, which was great, but definitely meant for Indian people. They’ve since taken the tour down and you can no longer book it on the English speaking page. I’d recommend you book one of these Taj Mahal tours. 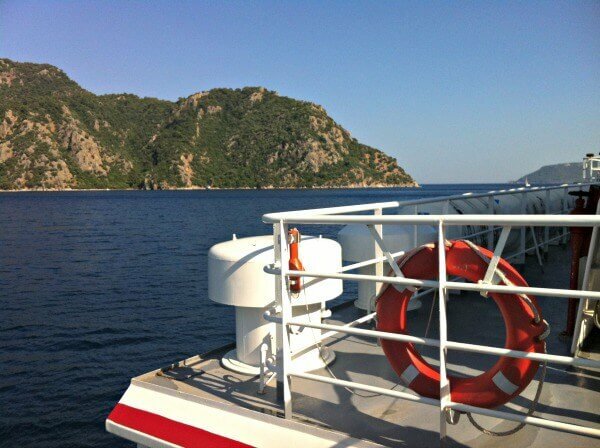 It just makes travelling between the sights so much easier, and you get a guide to take you round. Also helps when you’re trying not to get hassled, and to help you with which queue you need to be in on entering the sights and attractions. We went to see the incredible Amber Fort high up in the hills. Again, as I often have been on this trip, I was amazed by the skill and effort that must’ve gone into building these huge landmarks, especially when you think about what tools and equipment they actually had back in the times they would’ve been built in. After a few hours exploring it was time to head back to Delhi. I bought a bag from a man who promised me it was to fund his studies, then got a lesson in haggling from my new Indian friends who said I’d definitely paid too much. We arrived back at around 6ish and the tour guide shows me to his friend’s ‘Hotel Amax’ via tuk tuk. I went out for a look around in the surrounding area and everyone stared at me. I’m at least a foot taller than your average Indian, with blonde hair. I guess I’d stare too. I had a few hours of extra time in Delhi, thanks to my 10-hour flight delay. 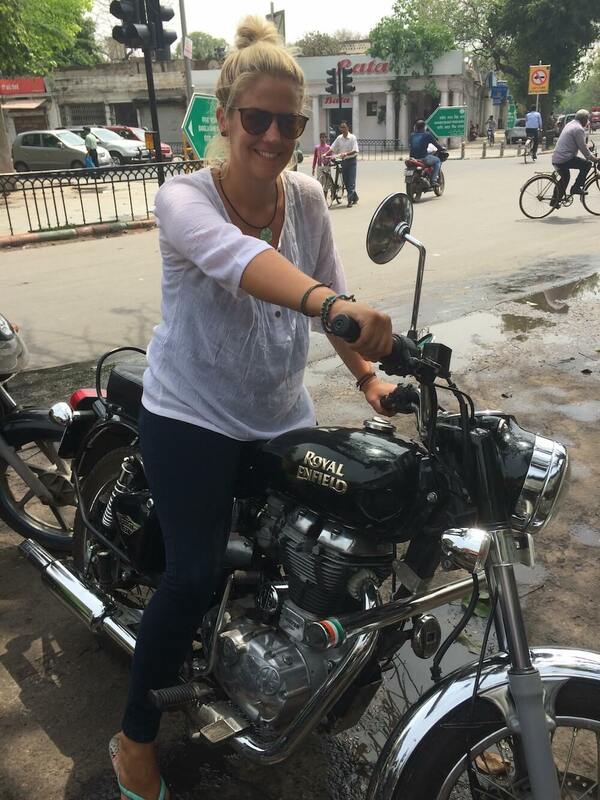 I met up with a friend from the tour and went on a motorbike tour round the city and out for more Choley. Everyone here has these Bullet bikes; never heard of them before but now I want one. A tuk tuk to the airport later and my Delhi adventure was over. Onto Kerala, and some friends! I arrived just after midnight last night and just managed a quick ‘hello’ and then a ‘goodnight’ to my friends who’d arrived earlier. 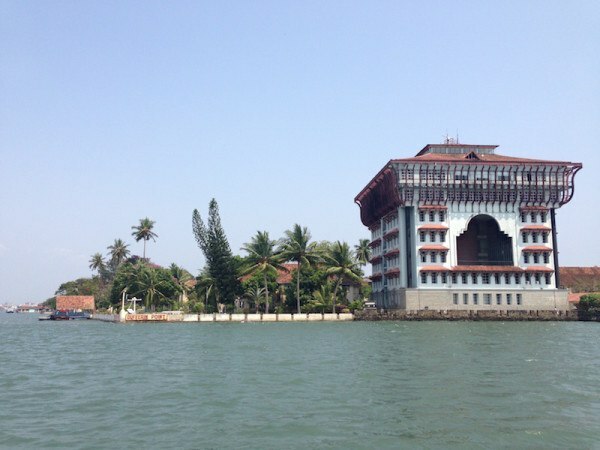 After a walk round Kochi in the morning we decided to take the boat over to Ernakulum. It was 5p. We didn’t really know what to do in Ernakulum and it was so hot that we decided to jump in a tuk tuk and cruise around. For the equivalent of about £1 each we had an hour tour round the sights. We decided we were better off in Kochi so rode the boat back again, after we get conned by some kid into paying a ridiculous amount for a bracelet that is. 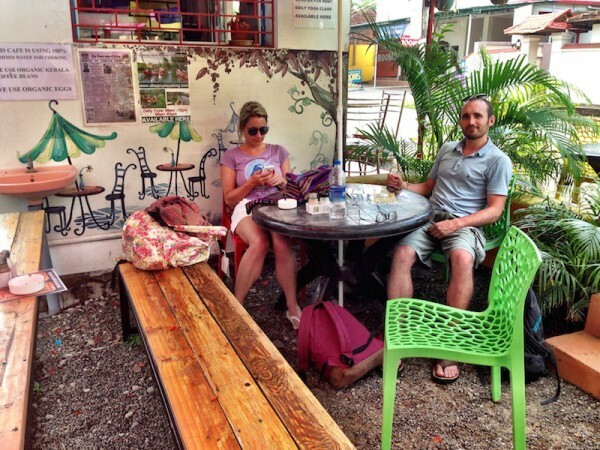 We chilled out at the Pepper Tree Coffee Shop before taking another tuk tuk ride round Kochi in search of the Jewish area. Then we realise it’s a Saturday, their Sabbath, and we were in the Jewish area but nothing was open. So we went for a huge curry meal followed by an hour-long search for alcohol, which ended fruitless. We stayed at Aaron’s Guesthouse in Kochi – it was clean, in a great location, and the owner Johnson was really kind and helpful too. Today we took a taxi for what was meant to be 5 hours, but soon became 7 after the car broke down. Lucky for us it broke down outside a very nice family’s house who invited us in for tea. I was so ill along the way. I ended up being sick off a bridge when I couldn’t wait another second for us to clear it. I’m pretty sure it was the buffet in the lounge at Delhi Airport. It cost 4000 rupees for the four of us to get from Kochi to Thekkady in the car, and we gave a 10% tip. We were concerned it wasn’t enough for the amount of time it took but it wasn’t our fault he broke down. Anyway,v he tried to persuade us to come back with him so we can’t have upset him that much. 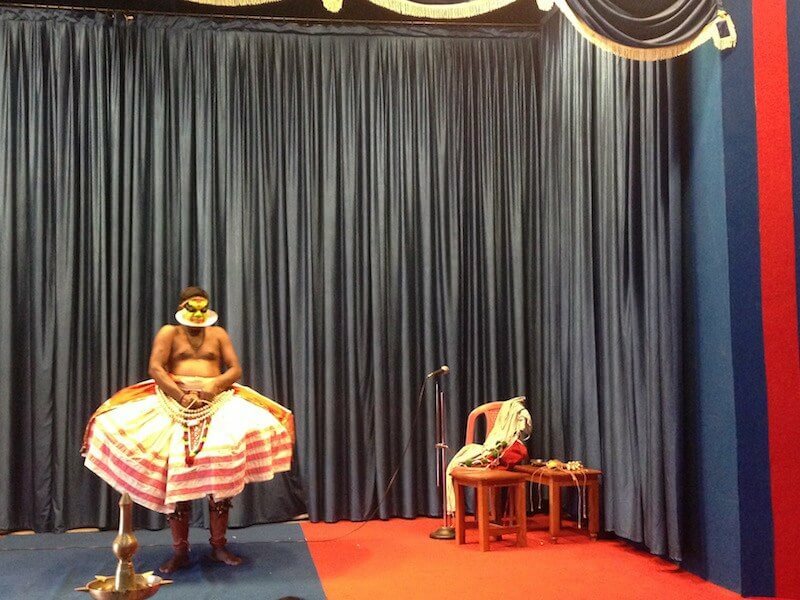 We arrived at Periyar Woods Hotel in Thekkady at 3ish and booked in to see a Kathakali show followed by a martial arts show for just 200 rupees. Both were ‘not what I was used to’, rather than calling them weird. The photo above is from the Kathakali show – people pay just to watch the making up. When the show was in full flow they got my friend up on stage, which was well funny. Ended up going for dinner at Spice Garden with two people we’d met earlier in the tourist information centre, Luke and Emma. It was one of the only places to serve alcohol and so was filled with white people. Shame the food was average. I was so ill over night. So ill. I decided to avoid the nature walk my friends were going on and stay in bed for the morning, after getting no sleep. They saw elephants and wandered in the wild. Jealous. So glad I have three weeks in India to try and get over this. We hung out on the balcony when they got back as it had been an early start. In the afternoon we took a tuk tuk to the spice plantation for £1 and while I sat in the shade trying not to vom, they wandered around. That night we went for dinner at ‘Grandma’s’ – a cute little outdoor restaurant. I could barely eat a thing – there was definitely something severely wrong with me. 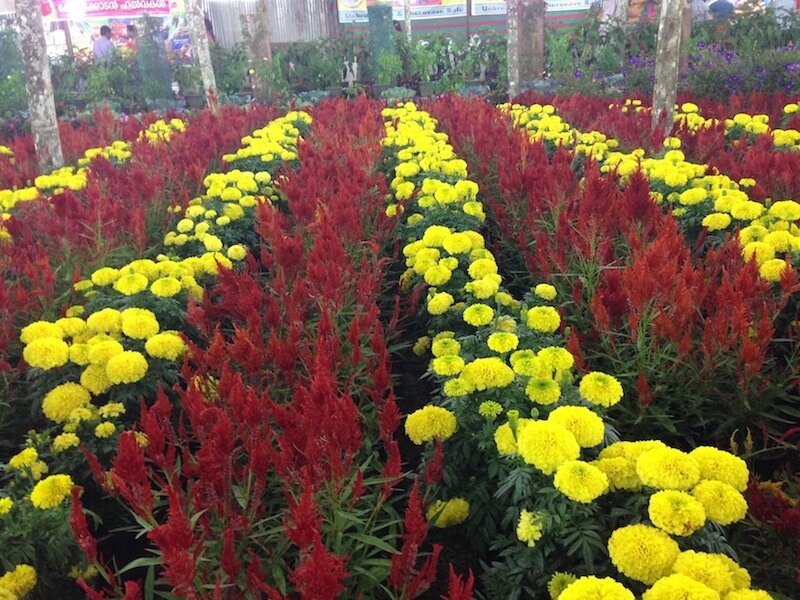 We went to the Thekkady Flower Show and enjoyed it, until we were eaten alive by bugs. Thomas from the Periyar Woods Hotel is a great guy – one of our favourite people from the trip. 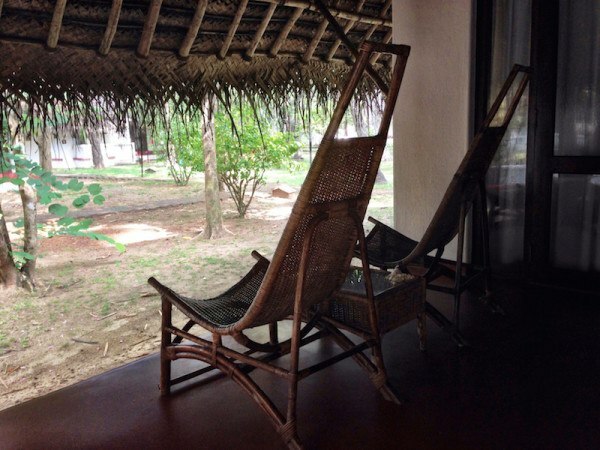 I’d strongly recommend you stay at Periyar Woods if you’re in the area. Tell him I said hi. We decided to get the bus from Thekkady to Marari in Alleppey. We soon found it was an interesting choice. Despite trying to make sure of the times via about three different people, we still managed to miss the direct bus. We ended up on another one hurtling down the hills of Thekkady with a rollercoaster driver at the helm. It was so full we had to stand and so as well as holding on to the dangling handles and my backpack between my legs I was also trying to hold onto my stomach. Over 5 hours later, and another breakdown where we had to change buses, we were still 2 hours away. We decided to just get a taxi. In the end we paid as much as we would’ve for a taxi for the three of us the whole way, but then we wouldn’t have had the adventure. 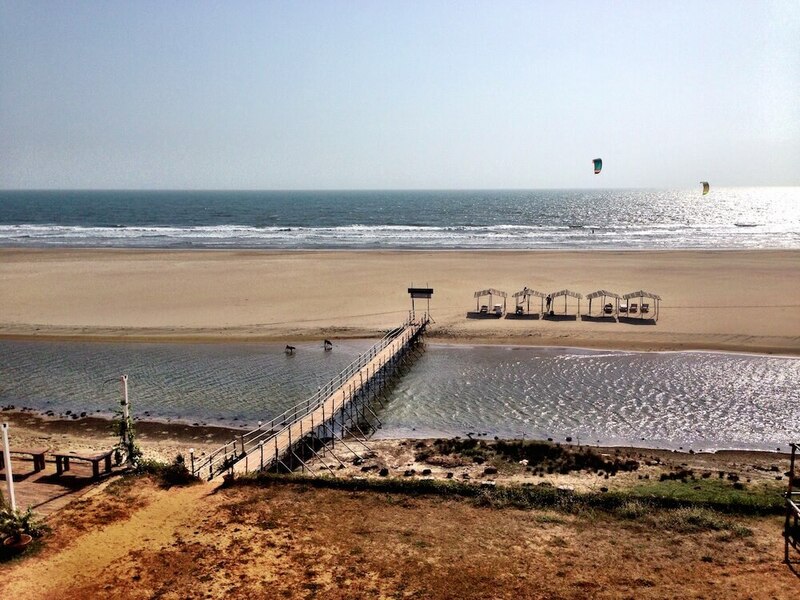 We arrived at the Marari Beach Resort and it was so nice, we thought we were at the wrong place. The afternoon was spent by the pool before going for dinner, via the beach. We spent the whole day by the pool, shame the sun didn’t. We played a lot of Uno and just relaxed in preparation for our organic vegetable cooking class that night. This turned out to be one of the best nights of our trip and we had a great four hours learning about the produce and how it’s cooked in this part of India. 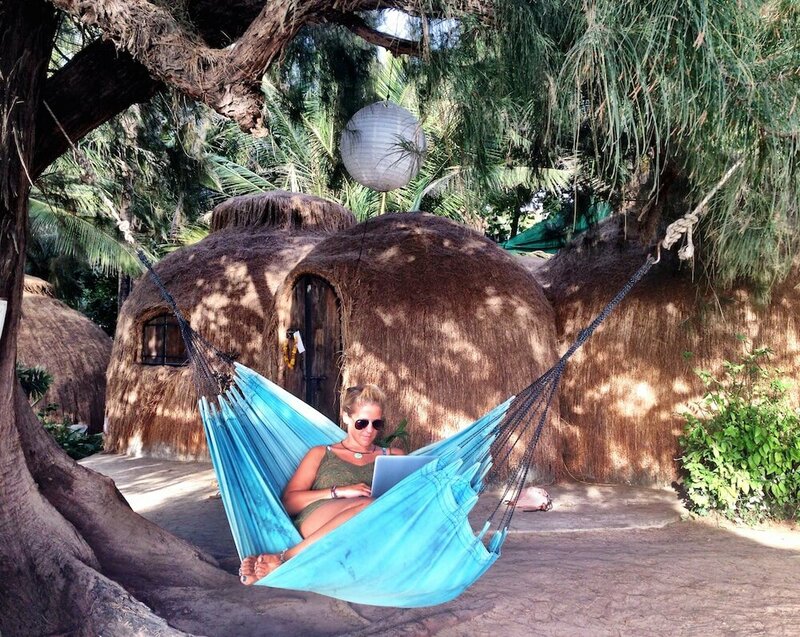 If you stay at Marari Beach Resort you cannot leave without doing this. A highlight was when the lady who worked there told our friend Stu he had half an egg head, and then the other guy in the class that he had a full one. I was speechless. This was also the first night I felt ok in what seemed like a long time. We left Marari early, after some debacle with the taxi – be aware that hotels add a hefty levy for calling one for you. 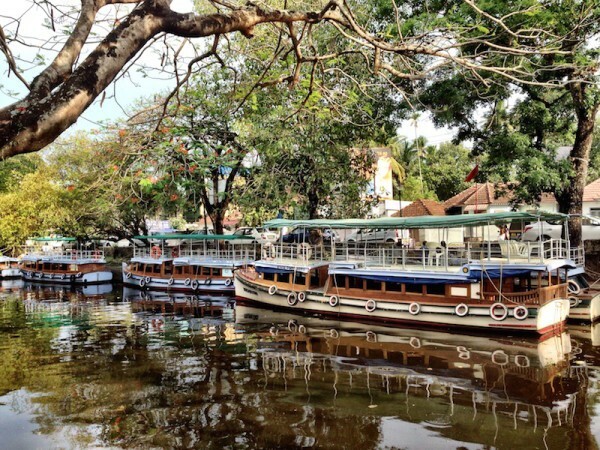 We went to nearby Alleppey and rented a houseboat, which was really easy and cost a lot less than we thought. You just rock up and it’s all regulated by the government. 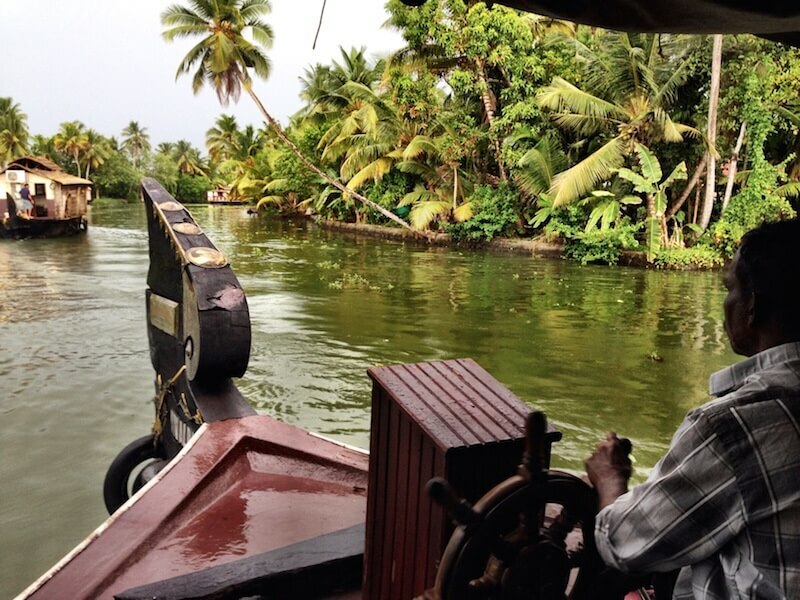 For 1000 rupees each we got a one bed houseboat, with space for three, three meals and a cruise along the backwaters. That night it stormed, which made it even cooler. We had Keralan fish curry and even made a stop to buy some prawns from a canal side shop, which they’d tandoorid to be delicious. The boat crew wanted to go to sleep at about 10, so we had to vacate the living room. This was even after trying to bribe him with to stay up the rest of our rum, which he took, and then wanted to sleep. The early night was probably for the best as they chucked us off the houseboat at around 8am after breakfast. 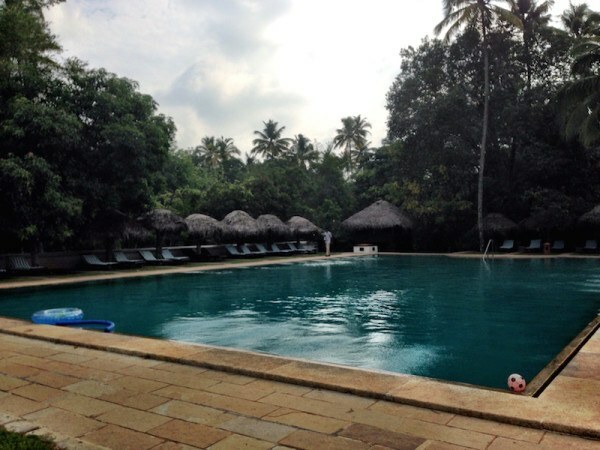 We had the day in Alleppey with not much to do and all our luggage, so we paid to spend the day by the pool at The Ramada. A big, fancy hotel that charged us a ridiculous amount for everything, but seeing as it was the only option we had to pay. At around 4ish we went into town for some dinner and found Thaff Restaurant. It was here that I had one of the best meals of my time in India, well the best dishes. A tomato fry. Basically tomatoes fried up in delicious spices. This was the exact point where I started to feel better, I hadn’t been able to keep anything in for a few days now. I bought some sunglasses from over the road and life was good again. 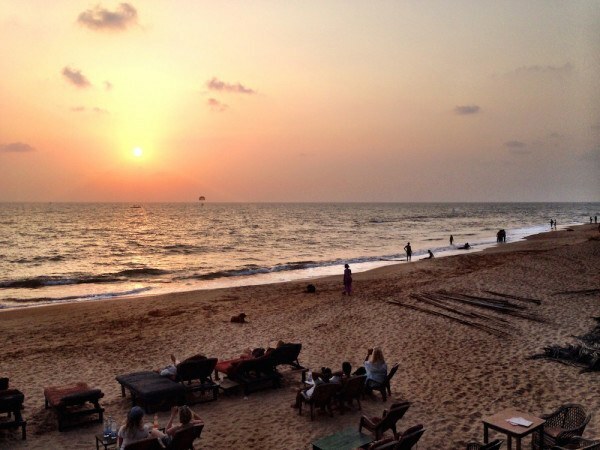 That evening we went and drank at one of the bars by the beach before getting on the train, Goa bound. 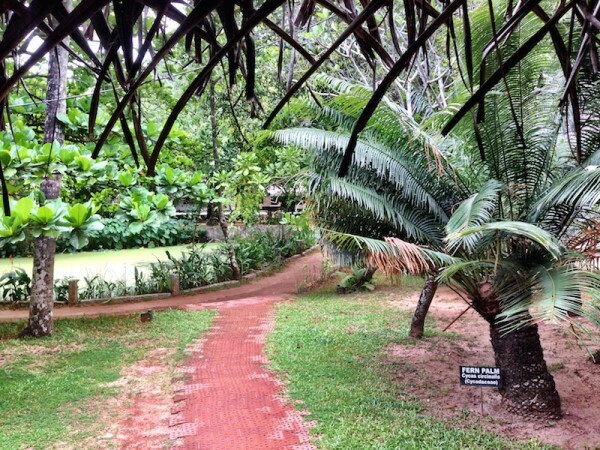 We arrived in Goa and stayed at Village Villa Sunny Cow, which I’d definitely recommend as a cool homestay. It was less than £10 per night. We went out to check the beach and do some bar hopping and we found Tantra, an awesome bar looking out over the beach complete with treehouses. We drank gin until we couldn’t any more and decided we loved life. All we needed was some dinner. We found a great restaurant by our hotel serving Keralan curry, although I went for the tandoori paneer, which was now my new addiction. After some of the best porridge I’ve ever had at Sunny Cow, we taxied it to Yab Yum Huts an hour away for what was to be an awesome three days. We spent the afternoon on the beach, sampling the menu and the smorgasboard of cocktails, before collapsing into bed in our awesome hut. Check out my review of Yab Yum resorts for more! 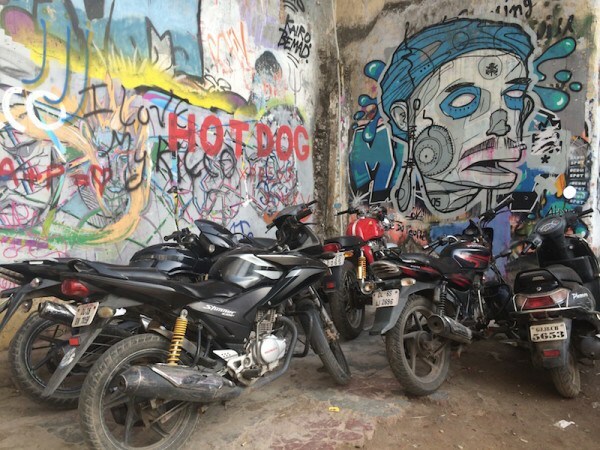 We rented scooters from the hotel and went to explore the delights of Goa. We found the Lazy Dog and the beautiful beach there where we hung out and watched the kitesurfers, wishing we were doing it too. After trying unsuccessfully to get on a dolphin trip or similar (we were out of season) we decided to just hang out at Yab Yum and enjoy that instead. That night we ate at Yab Yum again – going some way to trying all 32 things on the menu. 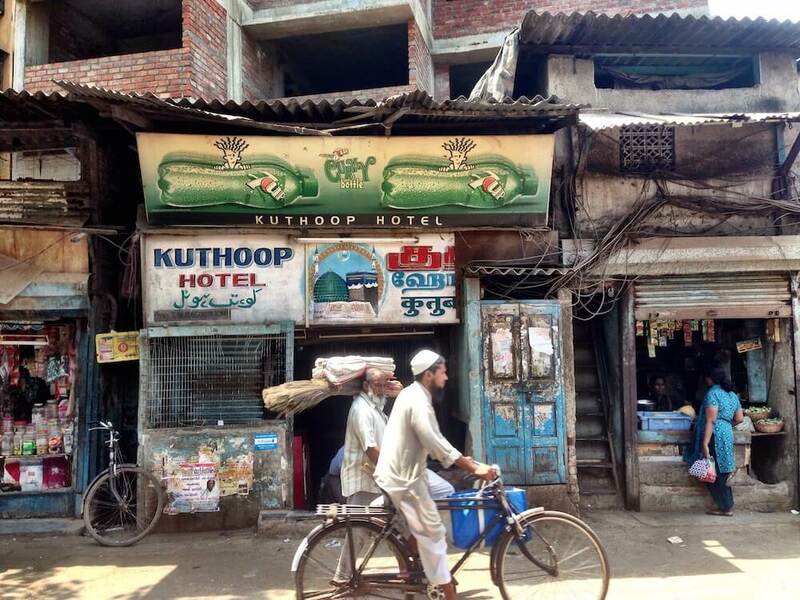 This was a great stop on our India itinerary! We joined in with the morning yoga class at Yab Yum for two hours, ate a good breakfast spread on the table outside our room, relaxed on the beach, ate lunch, spruced up and then had dinner. Busy day, ready for the onslaught of Mumbai tomorrow! We took a taxi to the train station after managing to change our tickets to a closer station, once we realised just how far the other one was away. So glad we don’t have to take another bus ride after that last one! We arrived in good time and got on to find our seats. The three of us were pretty tired thanks to the heat and once we managed to get comfy, fell asleep. Towards the end of the journey we made friends with some Indian guys who were on a work trip and were pretty funny. They wanted selfies with us and were chatting about English cricket. We actually came across some really friendly people on the public transport in India. 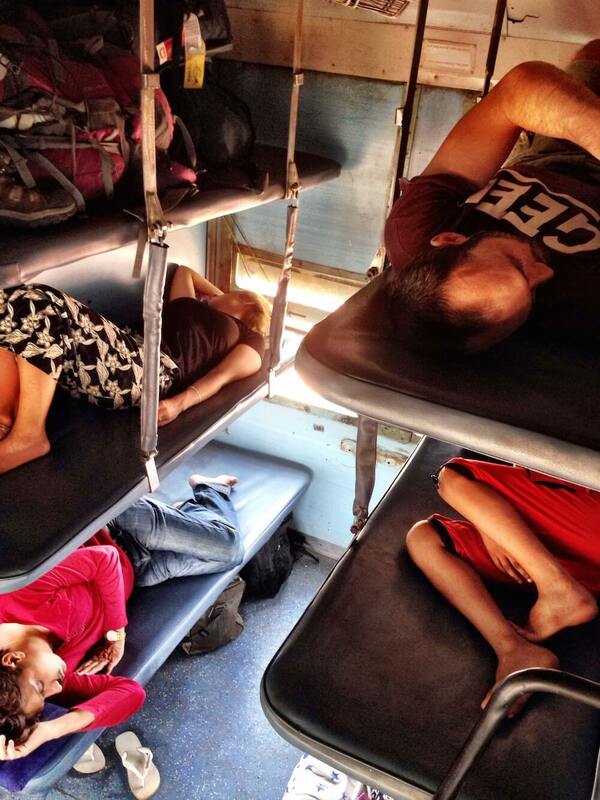 Five hours later and we arrived in Mumbai, as advised by the lads we jumped on a local train to take us to our place. After a lot of fuss with an eager to please tuk tuk driver we finally made it to our AirBnB apartment. Again, we were exhausted. Too old for all this. We were up and ready for our Local Slum Tour with Be the Local Tours. Again, using the trains. You’d be mad not to in Mumbai. Getting around by taxi is relatively expensive and definitely time consuming. Trains here are cheap and a lot more breezy than any I’ve been on in different countries. You can even stick your head out the window as it’s going along to catch the wind. We drank Sula wine all afternoon. Just a few hours later and it was time for our street food tour with Reality Tours. 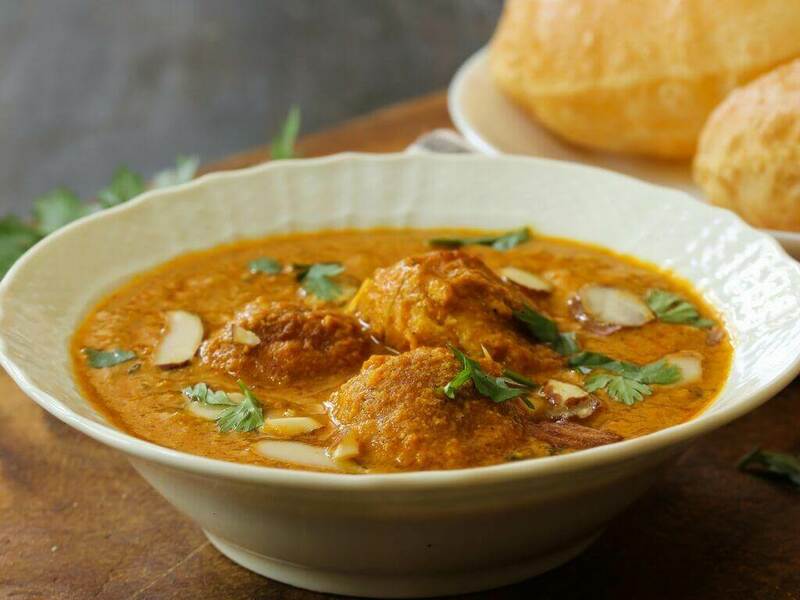 We sampled 10 different dishes around the Chowpatty Beach area of Mumbai, learning about the characteristics of each one as we went. It was brilliant, and the guide was great. The Sevi Puri was definitely my favourite. The trip inspired me to want to do a food tour wherever I go now. We had booked to do a sunrise bike tour with Reality Tours but after getting back at about midnight last night, and needing to be up at 4 to make it in time we decided we just couldn’t do it. It looks pretty cool though, and all the money goes to charity so I say go for it if you have time. 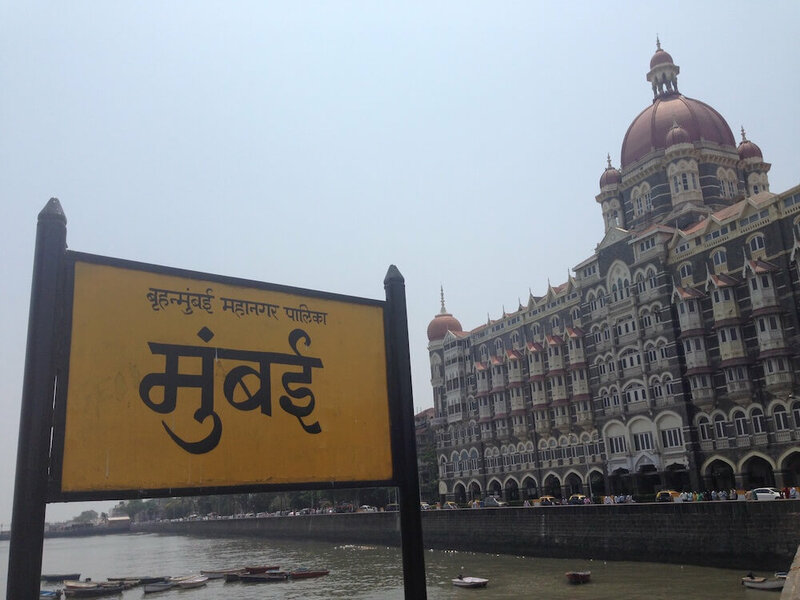 Instead, we travelled down to look at the Chhatrapati Shivaji Terminus. Stunning. Then we went for a breakfast feast over the road at the Veggie Restaurant. We had Choley and one of the thali dishes, where you get a little of everything. The Choley was the winner though, especially because my friend Chloe, who I’ve always called Choley was eating it. I was happy. We walked down to the Gateway of India and got offered tickets to Elephant Island. We’d read it was one of the best things to do in Mumbai so took them up on it. After an hour to get across, an hour running up and going round and then an hour back again, honestly, I wouldn’t recommend it. Gutted we spent so much of our time in Mumbai on this. No need to include this in your three week India itinerary to be honest. 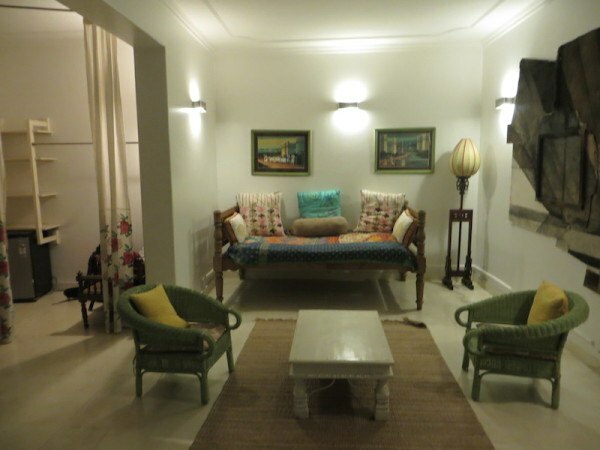 We came back and went to the swanky Taj Mahal Hotel for a glass of wine or three. The prices weren’t as bad as the reviews made out – bit like London but you got loads of crisps and nuts too. After spending too long there we went round to the Colaba Market and spent up some of our last rupees. Chloe bought some shoes, I bought a belt and Stu a Buddha. Then came Leopold’s – it was worth the wait. Some say it’s a touristy place because of the Shantaram book, but unless it’s local tourists then I can’t agree. I loved it in there. We had a feast, the best one of the trip. My paneer curry was incredible. And the naan. I’d love to devour all that again. We topped our trip off with a few drinks upstairs and then a taxi home, and that was the end of our three weeks in India! Here are the quick links if you want to follow my 3 week India tour. I booked all my accommodation through Booking.com which is my favourite hotel booking site. Mainly because they have good pictures, the site is set out in an easy to read way, and the bookings are all free to cancel. This is great when you’re on the move and not 100% sure. I’ve used Booking.com for 85% of my travels, and then HostelWorld for the other 10%. Very occasionally if I can’t find what I want on those, I’ll use Hotels.com. If you’re spending three weeks in India you can fly into one airport and out of another one. Or you can just book a return flight, and book your domestic flights separately. Check out netflights.com to compare flight prices to India. Book your tours in advance through Viator. 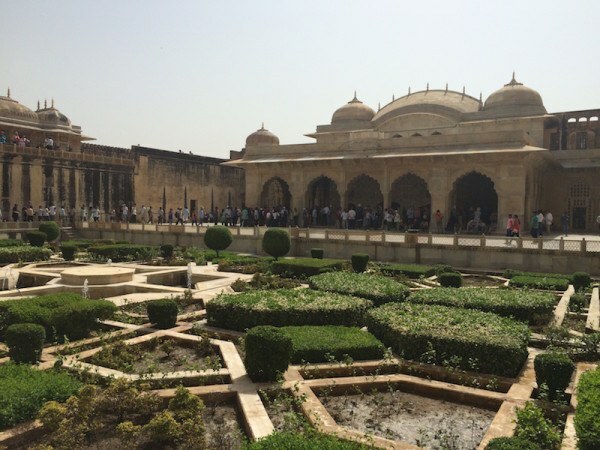 Here are a few of my recommendations for tours for your 3 week India itinerary. 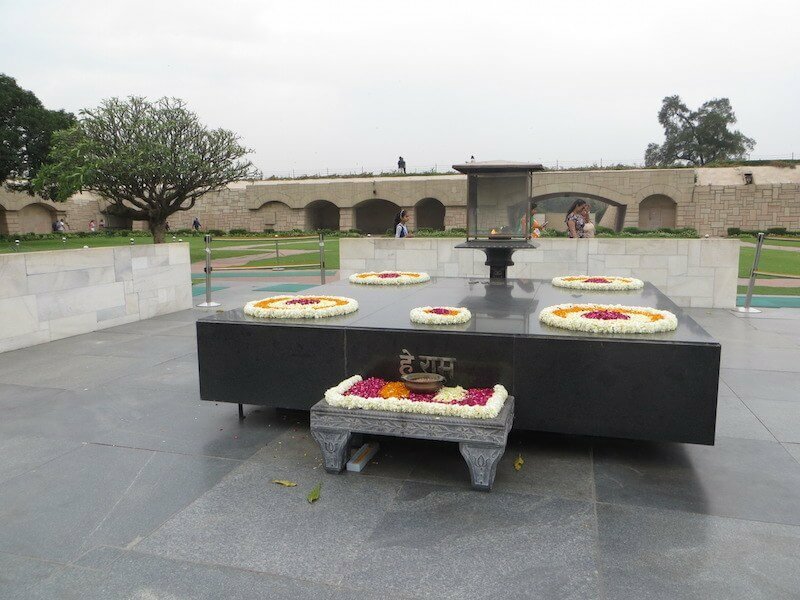 A multi day tour to see the Taj Mahal, Agra Fort and the surrounding buildings. Check out the prices on Viator. 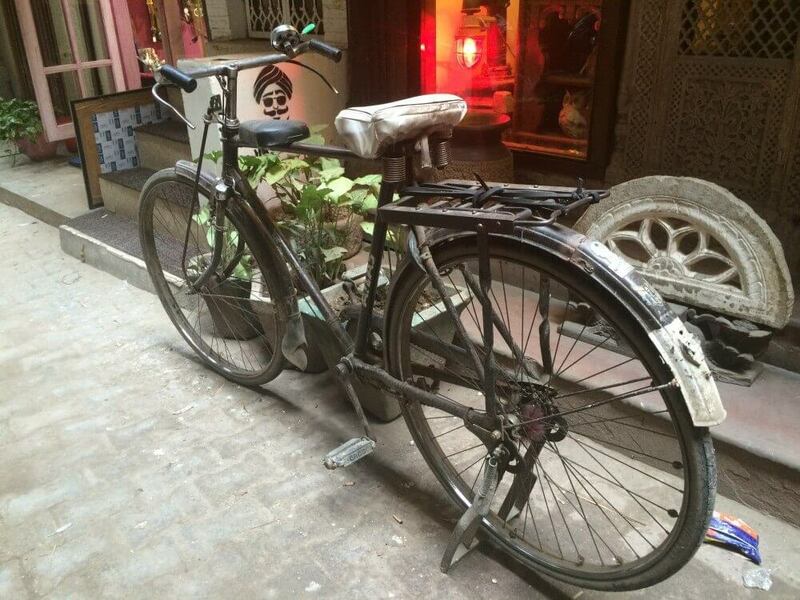 You could do an Old Delhi cycling tour, or rent a driver and car for the day and go on a custom tour of Delhi or a 3-Hour Old Delhi Heritage Walking Tour With Rickshaw Ride. Sounds great hey? 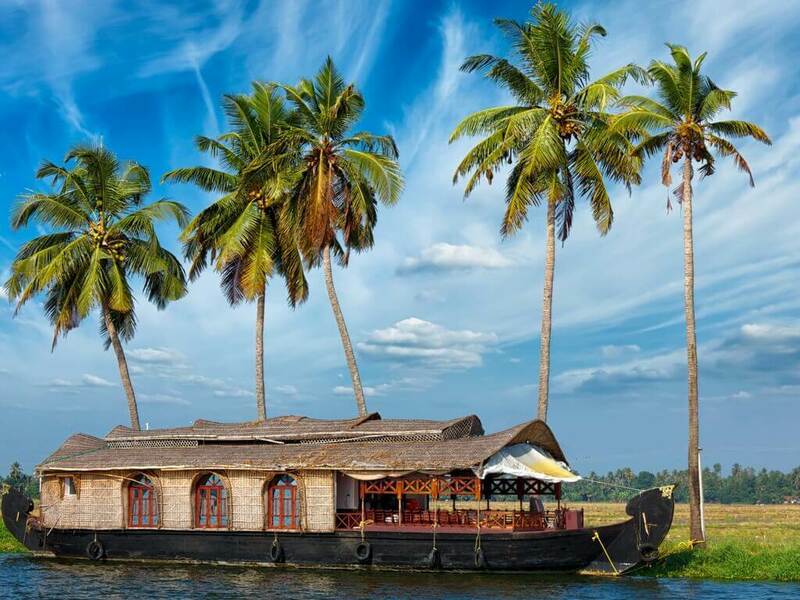 Definitely recommend you book a houseboat in Kerala, in the Alleppey backwaters. You can check out all the prices on Viator here. To be honest, I’d just recommend hiring a moped and cruising around. Or lying on the beach. All the tours and excursions look expensive on Viator, so if you want to go snorkelling or on a boat trip, just ask around while you’re there. Check out a private sightseeing tour, especially if you don’t have much time. Your guide will be able to show you the highlights of the city in quick time. I’d also strongly recommend doing a street food tour. I did one and found out about all this amazing food I didn’t know existed. Also, a slum tour might seem like an odd choice, but it’s how millions of people live in India so it’s a fascinating insight. Just let me know in the comments box below and I’ll try my best to answer ASAP. OMG this makes me miss India sooo much! need to go back soon! I was lucky I didn't get sick in India, but I had more than made up for it and strengthened my stomach from a month in Nepal! Ha, yeah, anyone that makes it out without any sickness is a hero in my eyes. One of my friends who I went with ended up having to have two weeks off work when he got back. Thanks for this great summary of your time in India. It's exactly what I'm hoping to do! I'm especially interested in your tour of the Golden Triangle. I followed your link to the Delhi TOurism page but can't work out how to buy tickets for the tour. Did you buy them in person or online? Thanks for any info you can provide! Hi Anna, the website is terrible isn't it? I think I ended up emailing them in the end: [email protected] Try that address. I'd definitely recommend the tour, especially for the price, so I hope you get through. Ask for Atul! Hi Vicky really enjoyed your blog. Ah that's great to hear Pauline! Always lovely to hear that I've inspired or excited someone when it comes to travel. 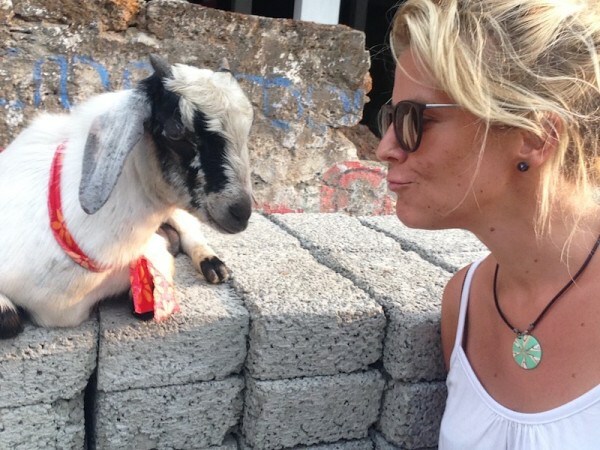 Just let me know if you have any questions about your upcoming trip – happy to help! How much did this trip cost you all together, not including flight to India? Really sorry Angela, I cant remember. I just know that India was cheap! Vicky thanks for such a nice and detailed entry. Your trips sounds amazing. I am going to travel 3 weeks in India as well, would you suggest me to follow the same itinerary, or would you change (add/substract) any of it? I have read your entry on the mistakes on India as well. Also, I know you cant remember, but could you say how much roughly the trip was? I always had the idea India was cheap, but for example, in comparison to Thailand, Myanmar or Cambodia is it more or less pricey? I remember in Cambodia I could get a pint for less than £1 in a restaurant. Hello Antonella, It was really interesting to see all the places I did and I think this itinerary would be great for a first timer. With hindsight I liked Mumbai and Delhi the best, and personally wouldn't go back to Kerala. I know a lot of travellers who love it and I'm glad I've seen it but I think I'm more of a northern girl when it comes to India. It was pretty cheap but we ended up spending a lot on transport, so we definitely spent more than we planned. 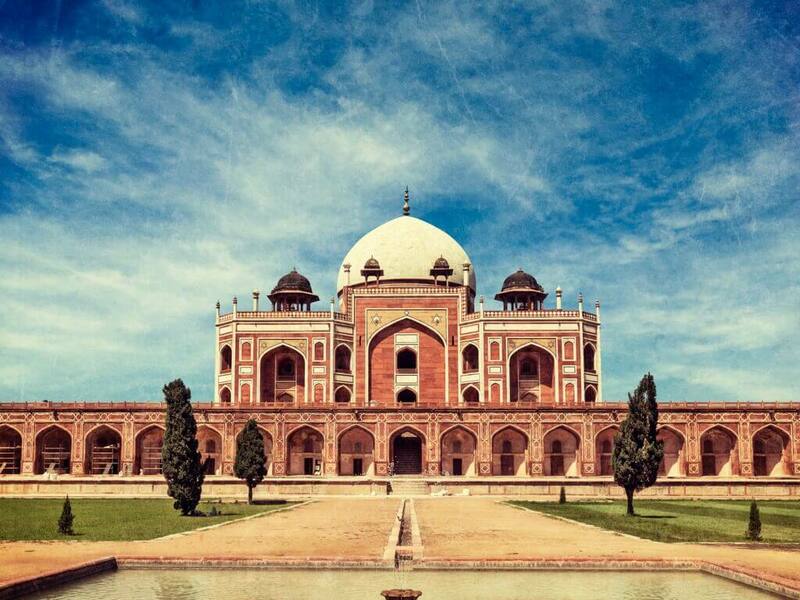 I'm travelling for 3 weeks in Summer with my best friend and we're keen to do a golden triangle tour as we're arriving in Delhi first - would you recommend the Delhi Tourism one? And if so whats the accommodation that they provide like? We're not that fussy but we just wanted a heads up before we commit to it! Hi Lindsay, yep, I definitely would! The thing is with that one is that it’s generally for Indians. I loved the fact, but it’s not for everyone. My guide could speak great English and I really enjoyed having more of a cultural experience because of the other guests. The accommodation was basic hotels – all perfectly adequate if you’re used to staying in hostels like me. I didn’t have to share with anyone and the food was great. I’d definitely recommend the tour both for the monetary value compared to others, and for the cultural value too. Wow your itinerary covers everything I want to do, and it sounds like you had a blast! I am hoping to go in the summer with a similar route. How much money do you think is realistic to budget for? Also did you pass any ashrams or hear of any that are good places to stay? Thank you! Hi Karly, ah sounds like we have the same ideas! I'm afraid I can't remember how much I spent sorry. I do remember it being more than I thought but I think that's because I went with my friends and they wanted to stay in hotels, whereas I would've stayed in hostels, so that added up. I know! Soooo many great looking places to go in India, there's just never enough time to fit in everything and everywhere. I'll be back! This is such a great recap! I really want to go to India... hoping to set aside a month between jobs. I would really like to see Darjeeling too but I'de imagine its a bear to get up there. I enjoy reading your blog! Ah thank you Erik. Yeah a month would be a good amount of time. I think I'm ready to go back now! Hi vicky! Fisrt of all, thanks for your stories! I really enjoy reading you. I have a question: does it worth jus 16 days to visit most beauty thing in India? I have the oportunity to travel 16 days in September, i don´t know if i should go to India or another country in Asia. I am deciding about India, Thailand, Philipines, Vietnam or Japan. 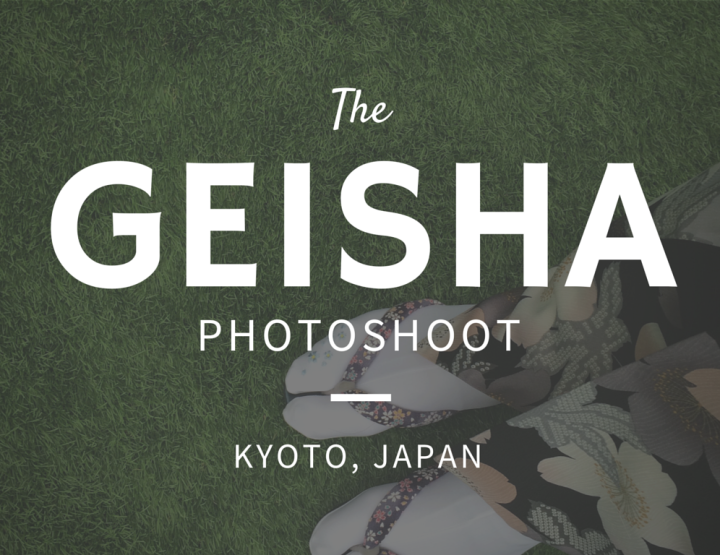 I heard Japan is too expensive, so i crossed it from my list! hehe! What can you recommend me between the other 4 countries for 16 days? Oh yes, I'd definitely recommend going for 16 days. The trouble is, with anything in life, we never have enough time so you need to make the most of the time you do have. The other countries you mention are all interesting places to visit too, but there's just something amazingly unique about India that I'd love for everyone to see in their lifetime. 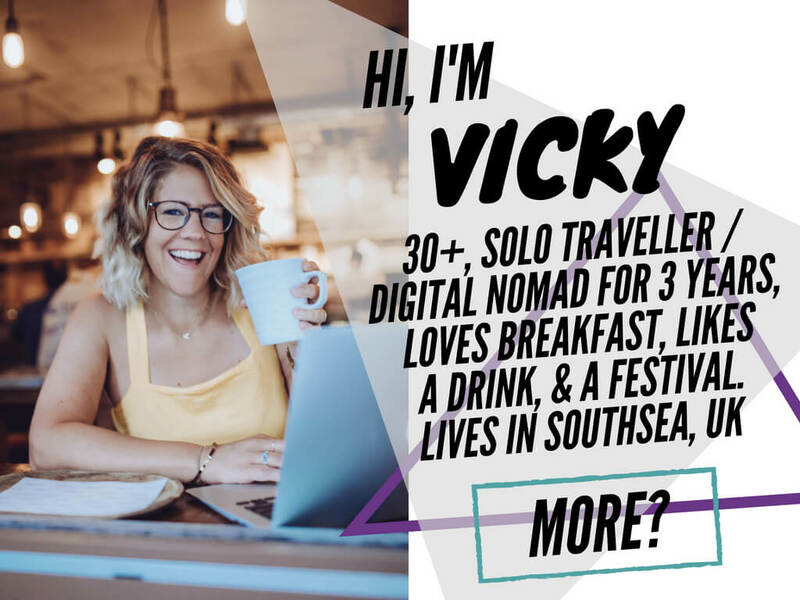 If you want beaches then yes, the Philippines are awesome, for food and scenery Vietnam is great (loads of advice on here, just search 'Vietnam' in that top search box) and then Thailand has beaches and food. I can't really decide, but I think you've got some great countries to choose from there! Hello Howard, that's great news! I didn't actually stay in any hostels when I was there. All the information I have is in the post above. Hope it helps! 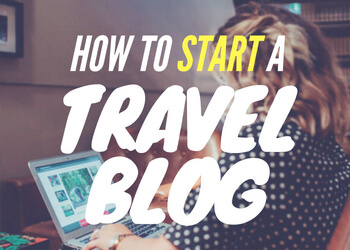 Found your blog 6 hours back while researching for my trip to Vietnam and I am still going through your blog. Judging you by your writing I would love to meet you. Do mail me when you are in Delhi again and need a free guide to go around with. Ah thank you, that's very generous of you. One day I'll be back! 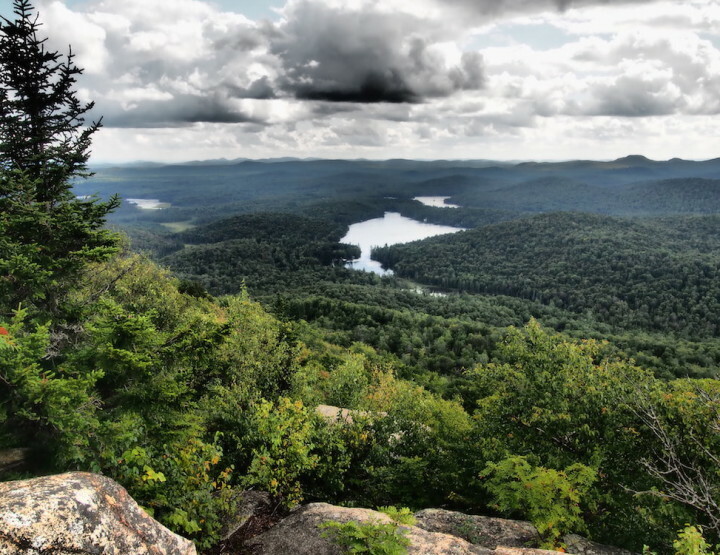 It is a nice blog.This post encourages to visit these places. Will plan for a trip soon. Thanks for the sharing information. AWESOME BLOG WITH AMAZING DESCRIPTION ABOUT THE BEST DESTINATIONS. KEEP UP THE GOOD WORK. Thank you for the amazing information posted on this blog. 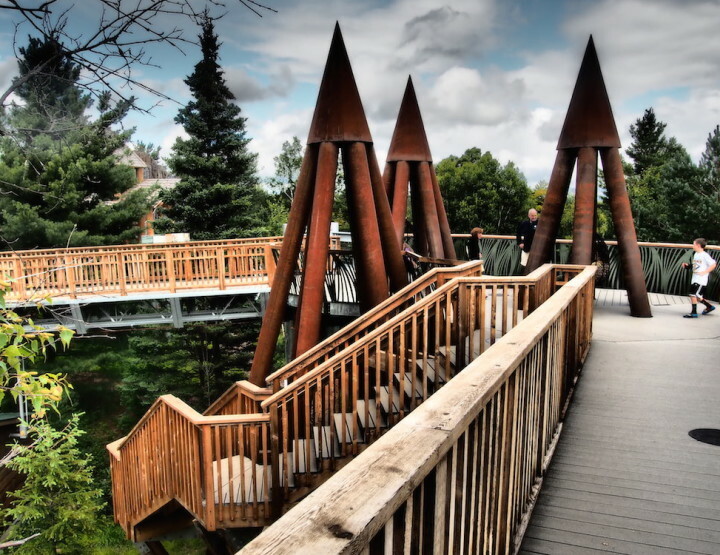 The tour of Golden Triangle is undoubtedly on everyone’s dream list. At Citrus Holidays we have a Golden Triangle India Tour Packages for you to choose from, all competitively priced. Ah ok, I did mine with the Delhi Tourism Board. It was great because I was on the trip with people from India, rather than just another group of Westerners. I really enjoyed it. Sure yours are great too though! I’ve read the blog through several times as a friend and me are going to tour fo4 three weeks in February 2018. I think we will do three areas of a week each, close to your tour and thinking about a path south from Delhi, Mumbai, Goa, and ending in Tamil Nadu or Kerala. This is a first trip to India and hoping also to pick up a real nice sari or trouser suit for my wife for a wedding the following year in England. I’ve head Haus Khas village is the place, but would have preferred to buy something later in the trip, perhaps in Kerala. Thanks for such a detailed blog, without getting sentimental or negative with som3 o& your experiences. Oh thanks for your comment Phil. I'm glad you think I reported back well. Often, the stories and writing that come from India are a bit twee I find. I hope you have a brilliant time. 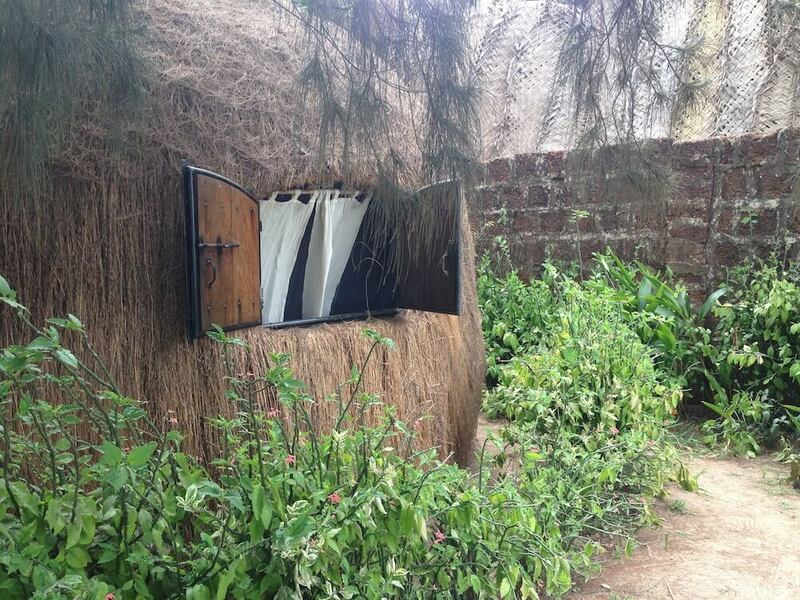 I really liked Haus Khas Village – definitely a cool place to see. I am going to India in 2 weeks for 3 weeks, return flights to Mumbai , I still have no idea for my itinerary. I have downloaded the cleartrip app , how easy is it to book tickets 1/2 days before departure. My rough plan would be 2 days in Mumbai, flight to Varanasi for a couple days then head to Agra,2 days then to Delhi for flight to the south Kerala possibly and then work my way upto goa for a few days before heading back to Mumbai. Apart from beaches is there much to do in Goa i know theirs Hampi but not sure id have the time.
! last question I arrive at midnight and my hostel does not do check in until midday, whats the airport like , im planning on sleeping a few hours there before i head to colaba. Hi Chris, thanks for your comment. Sounds like you have a great trip planned! Unfortunately I really can't remember the airport. I do remember eating chicken at Mumbai airport and being very ill though, so stay away from that. How tight is your budget? You could always book the previous night in the hotel if you needed? That way at least you'd have somewhere safe and secure to leave your stuff, and to sleep. Sometimes it can be a false economy to sleep in an airport, especially if you don't have long in a place. I like my sleep to help me feel refreshed for the day! This is such an awesome recap! I truly need to go to India... wanting to set aside a month between employments. I might truly want to see Darjeeling as well yet I'de envision its a bear to get up there. I appreciate perusing your blog! Hello Vicky, how are you? I just read your post and I was wondering if you could give me an advice since my husband and I are looking for a place to spend our honeymoon. We are not looking for the typical trip of beach and rest all time, but still we would like somewhere during the trip to be on the beach. 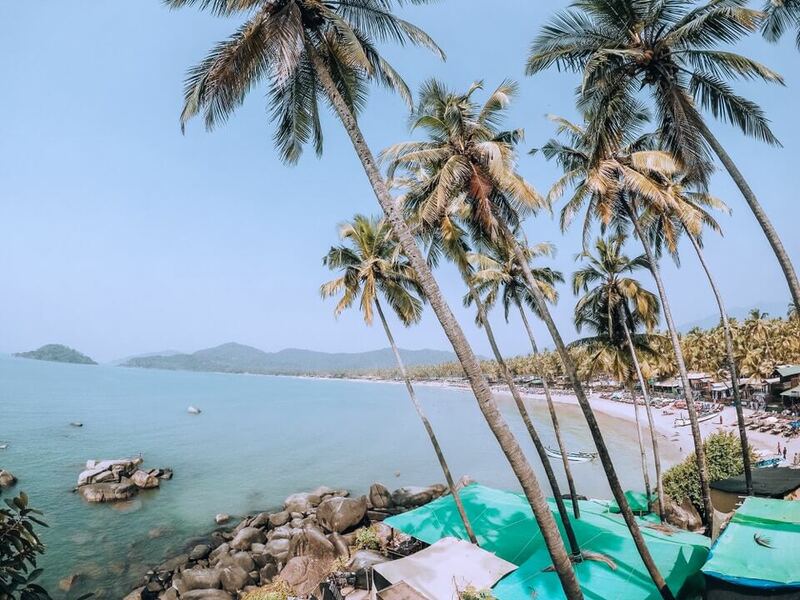 We are planning three weeks like you, and we really liked your itinerary because the first two weeks are quite busy and with plenty of activities, and then you get to Goa, which is calmer, and finally Mumbai. 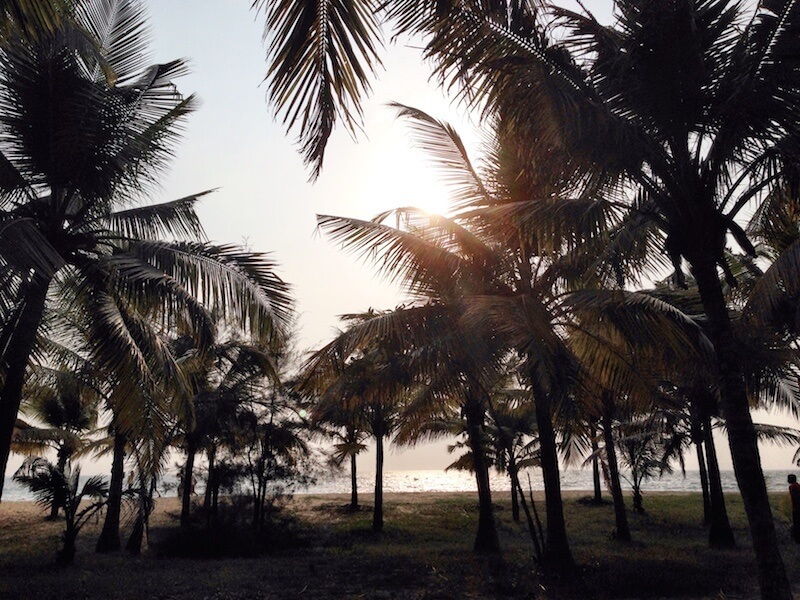 Do you think we can find some calm in Goa? Is India worth to visit as an adventurous-honeymoon destination? I know you said you don't remember how much you spent but do you have an average or could you compare the prices with a similar country? 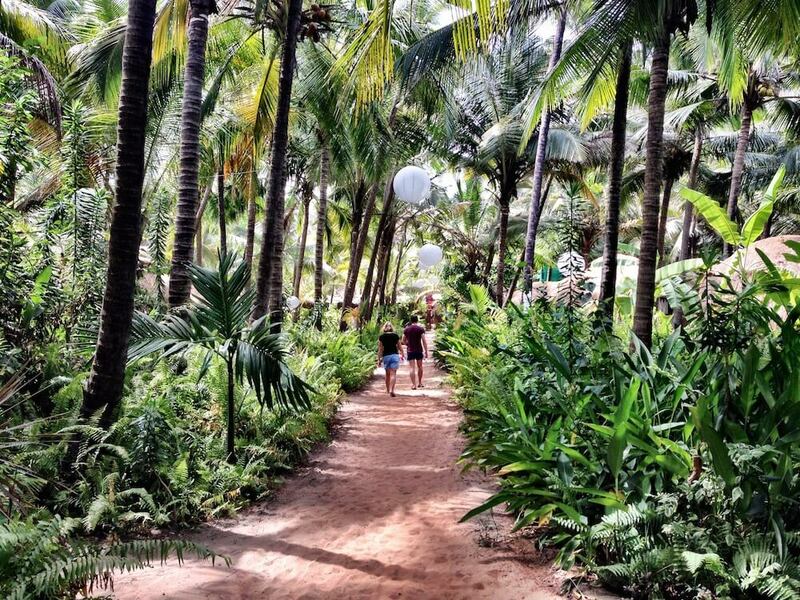 Hi Diana, yeah you can totally find calm in Goa. 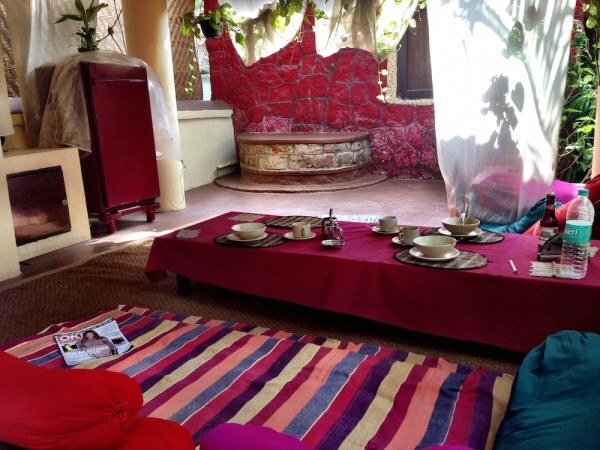 Stay at Yab Yum Huts – honestly, it was so relaxed there, just yoga, good food and nice beds. I'm afraid I really can't remember how much I spent, it was a few years and a lot of trips ago. It will definitely be cheaper than most countries. 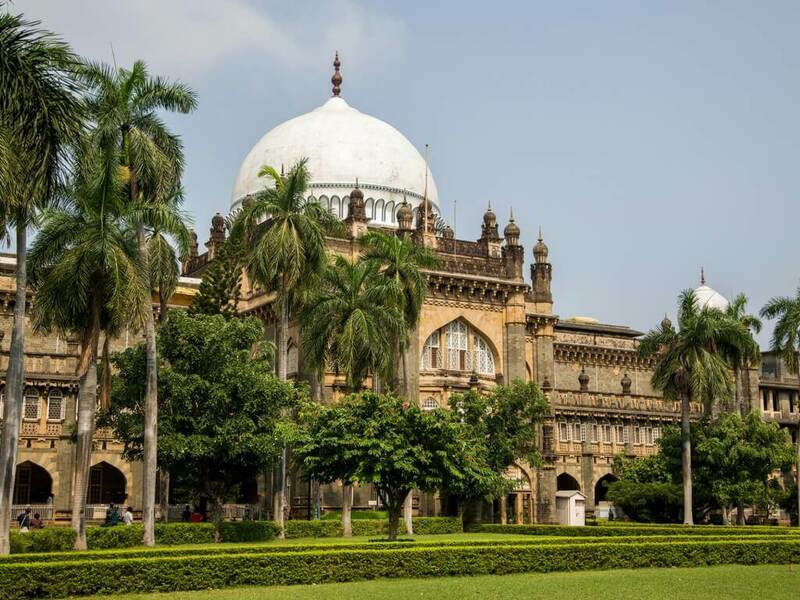 If you have three weeks I think India is a great place for a honeymoon – you can lord it up in some fancy hotels and there's still loads to do and see every day, and night. Hope that helps and just let me know if you have any other questions. Amazing blog and photos. Very helpful blog. Thanks for sharing. No worries, I hope it helps in your planning. Let me know if you have any questions at all – at your service! Really impressed you put together so much useful India information in one place. I must India someday! Yes! Definitely do! India is great. I'd like to go back some time too. I'm so glad I found this post. I am looking into going to India exactly for 3 weeks! This was very helpful. 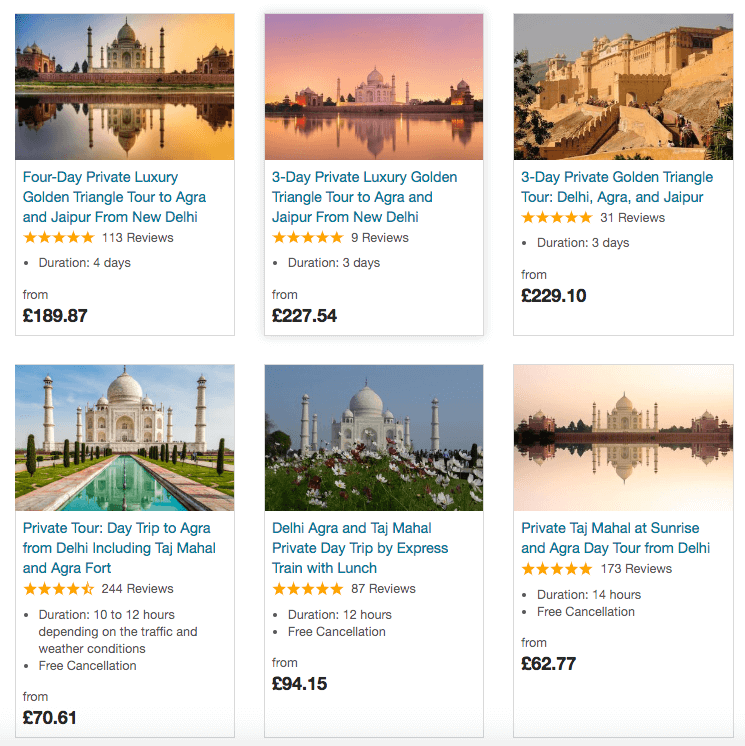 One last thing I wanted to know if the Golden Triangle tour took you to the Taj Mahal on sunrise (i know it's been some time but i guess that would be memorable), because there is no itinerary on the website. Thank you! No it wasn't sunrise – think it was just the middle of the day. I'm sure there are other options to go at sunrise though, with other tour groups, if that's important to you! 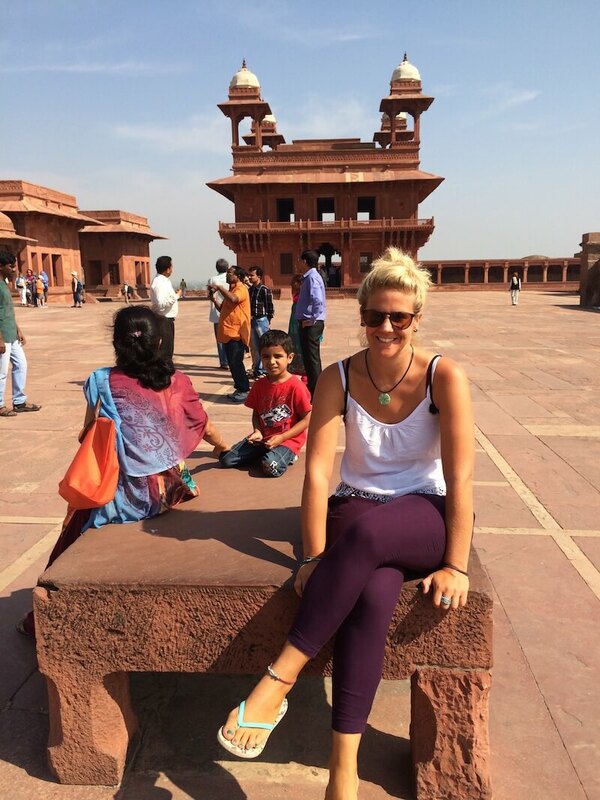 What an absolutely amazing 3-weeks trip you had at India, Vicky! We have always thought of visiting some of the places you mentioned but did not dare do so at this time because we are unsure how and where to start. Thanks for your detailed post and providing the links on where we can book tours and whatnot. It's been really helpful! Ah so glad I could help Elizabeth. Hope you have a brilliant time and let me know if you have any questions at all – I'll try and remember! Nice information. I am glad to find it. Thanks for sharing great info. You have picked the perfect destinations to see the best of India. Choosing Delhi, Kerala, Goa, and Agra to visit is like covering half of India. It seems you had a great time there and I enjoyed reading your blog. Ah thank you. Yes, it was an amazing trip. 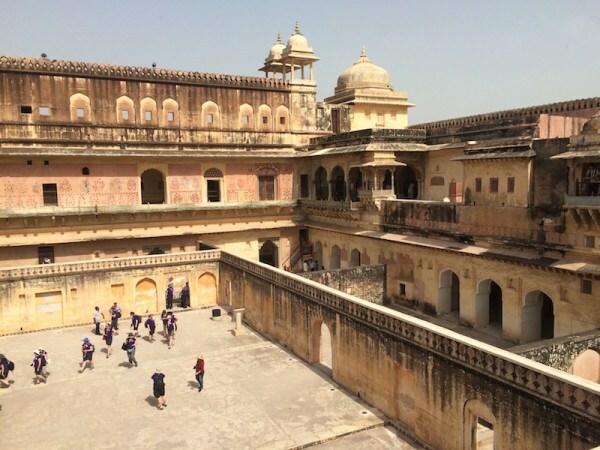 I'd love to visit again one day – really want to see Rajasthan! Thanks Fiona! Glad it's helped you. And just let me know if you have any specific questions. Always happy to help! Ok great – thanks for the tip! Good numbers of destinations covered in 3 weeks. Very detailed blog. Thanks! Hope it helps you with your plans! Oh that sounds like a cool idea! Kerala definitely knows how to throw a celebration. So colourful there! Oh fun! Yeah I'll have to try and fit it in!